EXTENDED! JOIN US FOR ONE OF OUR NEWLY ANNOUNCED DATES AT THE GREEN ROOM 42 IN 2019! The show can’t go on without you. Experience the magic of Broadway like never before at BLANK! THE MUSICAL®, an astonishing and hysterical next-generation theatrical sensation. 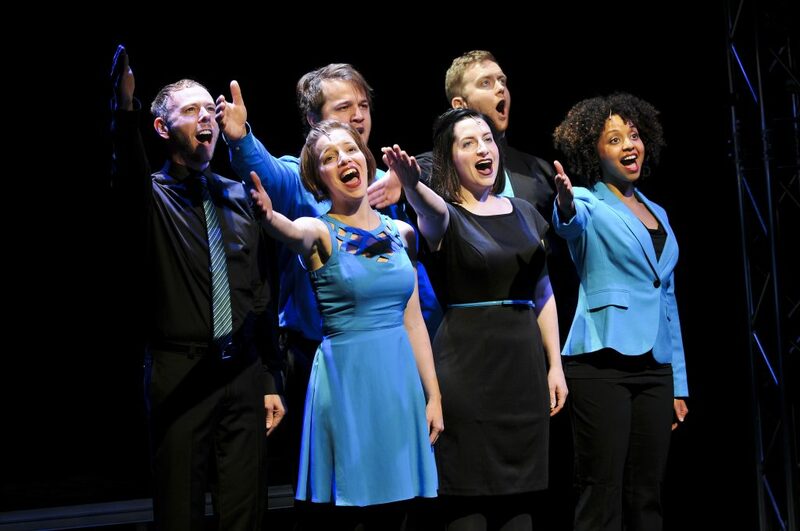 Each night, a talented ensemble takes to the stage—with no script, no rehearsal, and no idea what will happen—to perform a brand-new smash hit musical… that you help to create! See BLANK! THE MUSICAL at one of our upcoming performances at The Green Room 42! Just added! Join us at one of our newly-announced performances in 2019! Interested in bringing a group to BLANK! — or having BLANK! create a personalized musical for your special occasion or corporate event? Contact us.